BMW показала самые мощные кроссовера X3 и X4 — исполнение M оснащается 480-сильным мотором, а для версии Competition сделан аж 510-сильный двигатель. BMW никогда не делала M-версии кроссоверов X3 и X4, так что в 2019 году появились совершенно новые модификации — марка представила не только X3 M и X4 M, но и их более экстремальную версию Competition. Автомобили получили не только более мощный мотор, но и усовершенствованную подвеску, доработанную коробку передач, мощные тормоза и, естественно, особое оформление кузова и салона. В первую очередь M-версия — это 3-литровый твин-турбо 6-цилиндровый рядный бензиновый мотор, выдающий 480 л.с. В варианте Competition отдача увеличивается до 510 л.с. По утверждению BMW, этого хватает для разгона 0-100 км/ч за 4,2 и 4,1 секунды у базовой машины и исполнения Competition. Максимальная скорость составляет 250 км/ч, 280 км/ч при заказе опции M Driver's Package и 285 км/ч у варианта Competition. Независимо от мотора, коробка передача одна — 8-ступенчатая автоматическая M Steptronic с ручным режимом. В базовое оснащение входит полный привод M xDrive с несколькими режимами работы, а система M Dynamic позволяет выбирать наиболее подходящие под различные режимы эксплуатации варианты работы электронных систем. Под большую мощность шасси X3/X4 было усилено, для амортизаторов с электронным управлением доступны режимы Comfort, Sport и Sport +, а также были усилены тормоза. Кроме того, M-кроссоверы получили 20-дюймовые колеса, а версии Competition — 21-дюймовые. Кузов отличается новым обвесом, спойлером на крыше и обилием чёрных акцентов. Для кроссоверов доступны сразу 7 цветов окраски, включая новый Toronto Red и эксклюзивный для M-версий вариант Donington Grey. Что касается салона, то там появились традиционные для моделей M спортивные кресла, особый руль, новое оформлением панели приборов и фирменные логотипы M повсюду. Кроме прочего новинки отличаются особыми вариантами отделки интерьера. Стоимость X3 M и X4 M, не говоря уже о Competition-кроссоверах, в BMW пока не назвали. Производство моделей начнётся в апреле на заводе в Спартанбурге, штат Южная Каролина, в США. • M Twin Power Turbo inline 6-cylinder engine: 473 hp and 442 lb.-ft. of torque. • 0-60 mph in 4.1 seconds with top speed up to 174 mph. • 503 hp Competition models to be available with a top speed of 177 mph. • Production begins in April 2019. 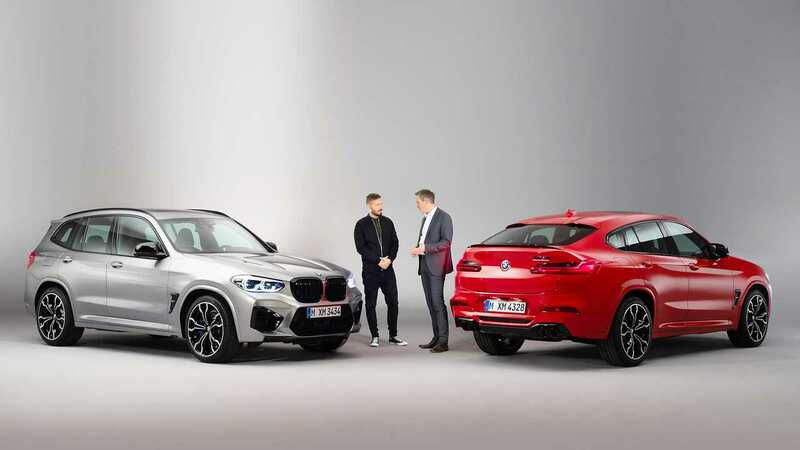 Woodcliff Lake – Feb. 12th, 2019…Today, BMW introduces the newest vehicles to join the exclusive BMW M line-up; the first-ever 2020 BMW X3 M Sports Activity Vehicle and the first-ever 2020 BMW X4 M Sports Activity Coupe. Powered by the high-revving, 473 hp S58 3.0 liter 6-cylinder M TwinPower Turbo engine, the newest M SAV variants are built with more than 40 years of BMW M’s experience in developing high performance automobiles that are capable on both street and track. For those who want the ultimate in performance, both the X3 M and X4 M will be available in 503 hp Competition versions. The new M models will be built at Plant Spartanburg in South Carolina, the home of X vehicle competency for the BMW Group. Plant Spartanburg is the largest BMW production plant in the world, employing 11,000 people and is supported by 300 suppliers across the U.S. 70% of the vehicles produced at Plant Spartanburg are exported overseas making BMW the largest exporter of vehicles from the U.S. by value. The latest M TwinPower Turbo engine technology. The new BMW M S58 six-cylinder in-line engine found under the hood of the first-ever X3 M and X4 M features a forged crankshaft allowing it to handle extremely high levels of torque. The forged crankshaft’s low weight and reduced rotating mass also allow the engine to rev to a 7,200 rpm redline. The closed-deck design of the six-cylinder engine’s block ensures it is incredibly rigid, paving the way for higher combustion pressure and increased power. The wire-arc sprayed-on iron coating for the cylinder walls reduces both engine weight and frictional losses. In addition, the cylinder head has a core manufactured using 3D printing. This additive manufacturing process enables geometric forms to be created that are beyond the capability of conventional metal casting techniques. 3D printing technology has cut the weight of the new engine’s cylinder head core and allows its coolant ducts to be routed in a way that optimizes temperature management. This latest incarnation of M TwinPower Turbo technology features two mono-scroll turbochargers, which supply compressed air to cylinders 1 – 3 and 4 – 6 respectively. The engine’s power output is enhanced through the use of upgraded turbo compressor wheels and a water-to-air intercooler. A flow-optimized air intake system reduces pressure losses, while an electronically controlled wastegate enhances turbo response. High Precision Injection technology raises maximum fuel injection pressure from 200 bar to 350 bar, enabling extremely efficient mixing of fuel and air. The fine atomization of the fuel in the combustion chambers reduces emissions, especially under full acceleration loads and at high speeds. The engine technology is rounded off by VALVETRONIC fully variable valve timing and Double-VANOS variable camshaft timing. The six-cylinder in-line engine in the first-ever X3 M and X4 M produces its peak torque of 442 lb.-ft. between 2,600 and 5,600 rpm and between 2,600 and 5,950 rpm in the BMW X3 M Competition and BMW X4 M Competition models. It generates maximum horsepower output at 6,250 rpm and sustains its potent power delivery until the 7,200 rpm red line. The BMW X3 M and BMW X4 M accelerate from 0 to 60 mph in 4.1 seconds, while the Competition models hit the 60 mph mark in 4.0 seconds. The top speed of all models is electronically limited to 155 mph. If the optional M Driver’s Package is specified, the limit rises to 174 mph for the X3 M and X4 M and up to 177 mph for the Competition models. Cooling systems and oil supply developed from motor sport. The new six-cylinder in-line engine’s track-tested cooling system has been designed to work with its increased levels of performance and includes one large central radiator and two smaller radiators positioned on either side of it. The system also includes an additional engine oil cooler and a separate transmission oil cooler. This sophisticated system ensures that optimum operating temperatures are maintained at all times, both in everyday use on short urban journeys and during track use. The motor sport expertise amassed by BMW M GmbH also makes its presence felt in the design of the oil supply system, which is required to meet the challenges of track driving. The engine’s lightweight oil sump has two separate chambers and an integrated suction channel. An additional suction stage allows the map-controlled oil pump to draw lubricant from the smaller chamber, which steps in when extra flow is needed. This ensures a reliable supply of oil at all times, even under the most extreme lateral and longitudinal acceleration and braking forces. Dual exhaust system with electrically controlled flaps and four tailpipes. The exhaust system designed for the first-ever X3 M and X4 M not only delivers reduced backpressure but also a stirring soundtrack. The dual-branch pipework releases the exhaust gas – in customary M fashion – through two pairs of 100 millimeter tailpipes. Electrically controlled flaps help to produce the rich engine note for which BMW M cars are renowned. The nature of the soundtrack takes its cues from the selected engine mode; standard setting, SPORT or SPORT+. Standard specification for the Competition models includes the M Sport exhaust system, which gives the engine a pleasingly sonorous tone, especially when it is being pushed hard and at high revs. Its continuously variable exhaust flaps create a particularly broad range of sound. Eight-speed M Steptronic transmission with Drivelogic and three shift modes. The new, high-performance S58 engine is linked up with the latest version of the eight-speed M Steptronic transmission with Drivelogic. As well as fully automated gear changes, the M Steptronic also enables manual shifts with sequential gear selection via either the gear selectorlever or steering wheel-mounted shift paddles. The M Steptronic delivers instantaneous response and lightning-fast gear changes. The driver can use the gear selector lever’s Drivelogic switch to adjust the transmission’s shift characteristics in both automatic and manual modes. Drivelogic mode 1 aids relaxed driving with smooth gear changes, while switching to mode 2 increases the sport factor with shorter shift times. The third mode makes gear changes even faster and sharper. Here, the transmission holds the engine in its upper rev range, helping the driver to push the dynamic envelope and maximize the powertrain’s performance on the track. M xDrive all-wheel drive: maximum traction, rear-wheel-biased set-up. The new M xDrive intelligent all-wheel-drive system plays a very important part in giving the first-ever BMW X3 M, BMW X4 M and Competition models their wide-ranging performance capabilities. The system blends the traction-related benefits of sending power to all four wheels with the proven dynamic qualities of classical rear-wheel drive. The electronically controlled M xDrive, which works in tandem with the DSC (Dynamic Stability Control) system, only sends power to the front wheels when the rear wheels reach the limits of their traction. As well as modifying the responses of the DSC system, drivers can adjust the distribution of power between the front and rear wheels at the touch of a button. M Dynamic Mode – which can be activated as an alternative to the standard DSC setting – gives the driver access to the M xDrive 4WD Sport option. This sends even more power to the rear wheels, enabling controlled drifts for example. DSC Off mode (with DSC deactivated), meanwhile, has been optimized for dynamic track driving situations and can be combined with the standard all-wheel-drive setting 4WD or with 4WD Sport mode. The centrally-controlled interaction between M xDrive and the rear Active M Differential is responsible for channeling the engine’s immense output through the car’s wheels with as little en route loss of power as possible. Torque is distributed between the front and rear wheels seamlessly by means of the transfer case’s electronically controlled multiplate clutch, before the Active M Differential varies the rear lockup between 0 and 100%, as the situation demands. This ensures enhanced traction, agility and directional stability, especially when the car is being driven in a very sporty manner or on roads with differing levels of grip. All of which means stabilizing interventions by the DSC system are only necessary in extreme situations. Chassis developed for everyday comfort and class leading handling. The combination of agility and precision, for which BMW M cars are renowned, is built upon sophisticated, model-specific chassis technology carefully tuned to match the engine’s high power and to the capabilities of the M xDrive all-wheel-drive system. 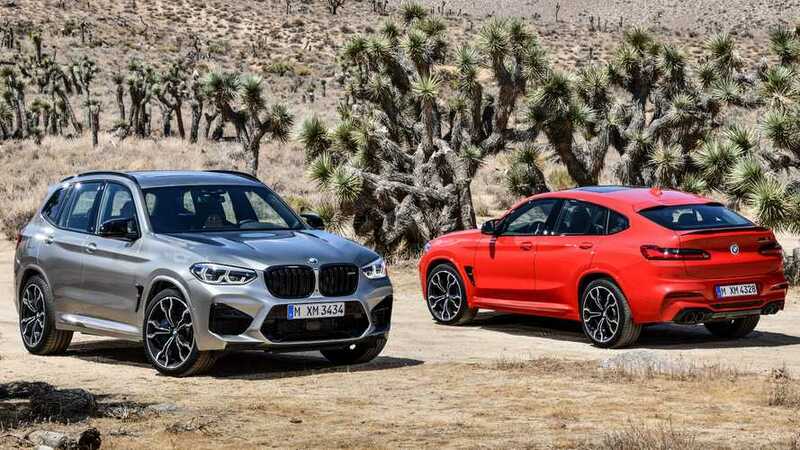 This gives both the BMW X3 M and BMW X4 M and their Competition siblings handling capabilities that eclipse their rivals. Their outstanding levels of performance in terms of straight-line and lateral acceleration, handling and stopping power are complemented by excellent directional stability, neutral steering behavior and comfort-enhancing characteristics that lend themselves to all types of driving conditions. The finely orchestrated blend of the engine’s power, the transmission and M xDrive system, the chassis’ set-up and the body’s attributes have been honed in exhaustive testing at venues including the BMW Group’s test track in Miramas, southern France and the Nürburgring’s Nordschleife circuit. Far-reaching measures for strengthening the body and suspension mounting points have a beneficial effect on steering precision and response. The first-ever BMW X3 M, BMW X4 M and Competition models all come with an M-specific bracing package at the front end, whose key element is a high-precision strut brace in the engine compartment that links the shock towers. In August 2019, an exceptionally light, extremely strong high-precision strut brace made from carbon fiber-reinforced plastic (CFRP) is set to join the options list as an alternative to the standard item. In addition, an A-strut has been incorporated into the front section near the firewall, with two further struts increasing stiffness between the shock towers and the front of the car. The body’s torsional stiffness is further enhanced by a large rear brace and model-specific rear axle control arms. Unmistakable BMW M driving qualities. An array of M-specific details and the precision tuning of the chassis have helped to imbue the Sports Activity Vehicle and Sports Activity Coupe with their performance-focused character. Both the double-joint spring strut front suspension and five-link rear suspension feature model-specific bushings that help to deliver precise wheel location and directional stability. BMW X3 M, the BMW X4 M and Competition versions their M-specific handling traits, the front suspension is fitted with custom-made swivel bearings, torque arms and wishbones. Specially designed bearings are used to channel the forces conveyed by the control arms to the suspension subframe and the vehicle body, while the increased front wheel camber optimizes handling stability and lateral control through corners. The rear suspension also boasts model-specific components and custom bushings that add to the classical M driving experience. The exceptionally stiff design of the camber arm, combined with the M-specific rubber mounts for all control arms and the rear suspension subframe, delivers even greater precision and agility. Finally, the first-ever BMW X3 M, the BMW X4 M and the Competition versions all come with model-specific anti-roll bars (larger bars on the Competition models), whose increased rigidity translates into more direct response, resulting in a noticeable reduction in body roll and more precise handling. M-specific suspension with electronically controlled dampers. The first-ever BMW X3 M, BMW X4 M and Competition models are equipped with the standard Adaptive M Suspension, whose electronically controlled dampers ensure both excellent everyday comfort and extremely direct contact with the road – with little wheel and body movement. The damping forces for each individual wheel are continuously adjusted – with the help of internal electromagnetic valves – to perfectly suit the driving situation at hand. The basic damper set-up can be varied at the touch of a button with a choice of three modes, each with their own settings. COMFORT mode smooths out bumps in the road at the same time as providing high levels of handling stability, while damping becomes significantly firmer in SPORT mode. Activating SPORT+ mode activates an even tauter set-up. SPORT+ is designed to put maximum longitudinal and lateral acceleration during hard driving on even surfaces, such as a closed-course track. Precision, feel and effortlessness: M Servotronic steering with variable ratio. The electromechanical M Servotronic steering on the first-ever BMW X3 M, BMW X4 M and Competition models has a specially designed motor unit positioned parallel to the axle and is an important component of the M driving experience. The M Servotronic system combines speed-sensitive power assistance and a variable ratio, enabling it to deliver exactly the right amount of steering feel for every situation. The result is wonderfully accurate turn-in, sensitive communication of the steering wheel’s movements when powering through corners, and effortless maneuvering and parking at low speeds. Its variable ratio, which adjusts to changes in the steering angle, is as adept at keeping the car effortlessly in a straight line as at providing instantaneous turn-in and directional accuracy through corners. Steering response can be varied by pushing a button to select one of three settings. The steering is at its lightest in COMFORT mode, yet still provides the driver with plenty of feedback. It is more communicative in SPORT mode, while also requiring more force to turn the wheel. Configured for an extremely sporty steering feel, SPORT+ mode further increases the steering effort needed and maximizes feedback from the road. DSC with M Dynamic Mode. The DSC (Dynamic Stability Control) system takes a fraction of a second to respond to changing situations and varying road surface conditions. As well as making corrective brake inputs at individual wheels and adjusting drive torque to stabilize the car, the DSC system’s range of functions includes the Anti-lock Braking System (ABS), Cornering Brake Control (CBC), Dynamic Brake Control (DBC), Brake Assist, the Brake Drying function and the Start-Off Assistant. When set to M Dynamic Mode, the system allows for extra wheel slip. The performance capabilities of the first-ever BMW X3 M, BMW X4 M and their Competition siblings are rounded off by the highly effective standard M compound brakes. Featuring four-piston fixed front calipers and single-piston floating rear calipers at the rear, they provide superb stopping power. The brake calipers are painted Blue and bear the M logo. The drilled, inner-vented brake discs measure 395 millimeters (15.6 inches) in diameter at the front and 370 millimeters (14.6 inches) at the rear. The compound design combines the cast-iron brake discs with aluminum hubs, giving the brakes excellent feel, a low weight and increased thermal stability. The overall package also consists of model-specific M light-alloy wheels in V-spoke design and mixed size high-performance tires (non-runflat) to match. These provide remarkably effective transmission of lateral control forces during cornering, aided further by the rear-biased configuration of the M xDrive system. Standard specification for the first-ever BMW X3 M and BMW X4 M includes 20-inch wheels in polished Orbit Grey finish with 255/45 ZR20 tires at the front and 265/45 ZR20 tires at the rear. The BMW X3 M Competition and BMW X4 M Competition models, are equipped with standard 21-inch wheels with a polished Jet Black finish. Tires are 255/40 ZR21 at the front and 265/40 ZR21 at the rear. Characteristic BMW X model proportions, trademark M design features. The exterior design of the first-ever BMW X3 M and BMW X4 M takes the muscular proportions shared by all BMW X models, adds a long wheelbase, short overhangs, slightly hexagonal wheel arches, crisp lines and clean-cut surface contouring, and completes the picture with a sprinkling of tell-tale M features. Alongside the large air intakes and aerodynamically optimized front bumper, both models also sport a BMW kidney grill with black double bars. On the Competition models, the BMW kidney grill’s surround is finished in High-gloss Black. The signature M gills are integrated into the Air Breathers on the front fenders. The exterior mirrors’ special M design brings a reduction in aerodynamic drag. A model-specific rear diffuser, flanked by a pair of exhaust tailpipes on either side, distinguishes the individually designed rear bumpers of both new M models. Atop the first-ever BMW X3 M and BMW X4 M models’ rear hatch is an M-specific roof spoiler. 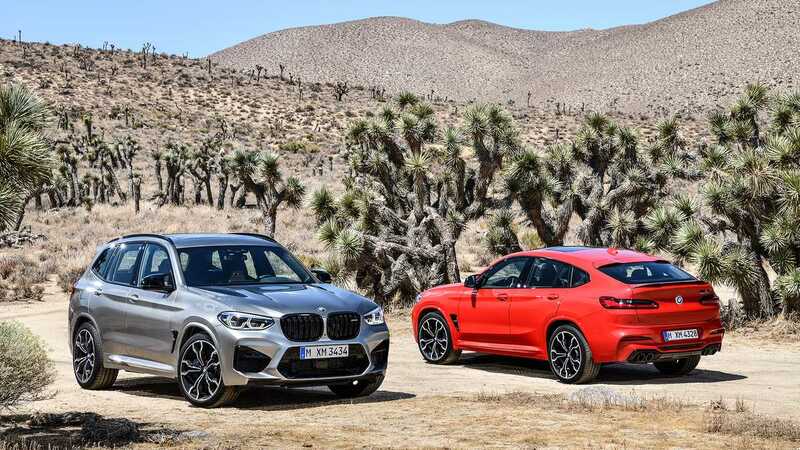 The exterior color palette for the four high-performance models set them apart from the standard versions of the BMW X3 and BMW X4. The front and rear bumpers, the wheel arches and the edges of the side skirts are painted in body color, replacing the usual black bordering. There is a choice of seven exterior colors for the firs-ever BMW X3 M, BMW X4 M and Competition models, including the new shade Toronto Red metallic and – also exclusive to M cars – Donington Grey metallic. The BMW X3 M Competition and BMW X4 M Competition models come with a number of distinctive design features to bring out their exclusive character, including a High-gloss Black finish for the BMW kidney grill surround, exterior mirror caps and M gills (and the rear spoiler of the Sports Activity Coupe). specially designed door sill plates and model badging. The optional M Carbon exterior package (expected to be available from August 2019), will feature design elements in carbon fiber-reinforced plastic (CFRP) for the front air intakes, the air blades in the front apron, the rear diffuser and the exterior mirror caps. On the BMW X4 M and BMW X4 M Competition, these elements will be joined by a CFRP rear spoiler. M-style cockpit design, versatile interior. Standard interior appointments for the first-ever BMW X3 M and BMW X4 M includes sports seats, Vernasca leather upholstery in a choice of Black or Oyster with an embossed M logo at the top of the backrests, and interior trim strips in Aluminum carbon structure. The BMW X3 M Competition and BMW X4 M Competition, on the other hand, come as standard with M Sport seats in extended Merino leather upholstery that can be specified in either Black or bi-color choices in Sakhir Orange/Black or Adelaide Grey. These are optionally available for the BMW X3 M and BMW X4 M, too. All models are fitted with knee pads on the sides of the center console as standard. Highlights on the list of optional extras include BMW Individual extended Merino leather upholstery in Ivory White and Tartufo (only in conjunction with the M Sport seats) and Carbon Fiber interior trim strips. Extended Merino leather upholstery in the new Midrand Beige/Black color choice with Alcantara applications is available exclusively for the BMW X3 M Competition and BMW X4 M Competition models. The unmistakable M-style cockpit design additionally includes an M-specific instrument cluster, an M leather steering wheel and a restyled M selector lever. The BMW X3 M Competition and BMW X4 M Competition bring further exclusive touches to the interior with their M Sport seats and the model nameplate on the center console. Although the interior appears firmly focused on a sporty driving experience, it still retains the versatility for which BMW X models are known. Both models come as standard with a 40:20:40 split-folding rear backrest, enabling luggage capacity to be increased when needed. Like the interior design of the first-ever BMW X3 M and BMW X4 M, their equipment and appointments create an ideal environment in which to experience outstanding performance with satisfying intensity. The design of the instrument cluster and center console controls for the powertrain and suspension functions help to ensure precisely controllable handling in even highly dynamic driving situations. Standard specification also includes Adaptive Full LED lights, Harman Kardon surround sound audio system, SiriusXM Satellite radio with 1 year subscription, Navigation with Apple Car Play compatibility, Comfort Access keyless entry, and a full array of advanced driver assist systems including Active Guard, Active Protection Active Driving Assistant and Frontal Collision Warning with City collision mitigation. Optional packages include Driving Assistance Plus Package with Active Cruise Control with Stop & Go and Extended Collision Mitigation, Executive Package with heated steering wheel, heated front and rear seats, parking assistant plus, head-up display, wireless charging, WiFi hotspot and gesture control. Instrument cluster and BMW Head-Up Display with M-specific features. With their signature red needles and white illumination, the classic circular instruments in the black panel instrument cluster are a classic characteristic of BMW M models. M-specific display information also contributes to the cockpit’s racing flavor. The car’s speed is shown in digital form in the center of the speedometer display, while the rev counter features a pre-warning field which varies according to the engine warm-up status, a color Optimum Shift Indicator and the model designation. The shift program and gear selected are displayed in the center of the instrument cluster. The digital readouts in the 5.7-inch color display indicates the selected powertrain and chassis and the status of the driver assistance systems. M-specific display content can be shown on the optional BMW Head-Up Display. This unit projects driving information onto the windscreen and into the driver’s immediate field of vision. Without having to look away from the road, the driver can view information such as the car’s speed on the digital indicator, the gear selected, alerts from the traffic sign recognition system, navigation instructions and a multi-color rev band indicator with shift lights. The M-specific approach to the control and operation of the car’s powertrain and chassis systems offers the driver a broad range of possibilities when it comes to configuring the vehicle settings precisely to suit their personal preferences. A control panel specific to the M models is situated on the center console next to the selector lever and iDrive Controller. These buttons allow the DSC (Dynamic Stability Control) mode, the engine’s performance characteristics, the settings for the electronically controlled dampers and the M Servotronic steering set-up to be selected independently. Another button allows the driver to adjust the exhaust sound. The shift program for the eight-speed M Steptronic transmission with Drivelogic is engaged by means of a button on the selector lever. Drivers can use the iDrive menu to select an M xDrive mode with the DSC system deactivated. And the iDrive menu also allows them to vary the content in the BMW Head-Up Display. Drivers can use these settings to configure two detailed overall set-ups for their car and store them permanently. This means they always have their ideal set-ups – e.g. for particularly sporty driving and relaxed cruising – on hand. The desired set-up can be activated instantly and at any time by pressing one of the two red M Drive buttons on the steering wheel. Starting the engine initiates a default vehicle configuration providing a harmonious balance of sportiness, comfort and efficiency. M Sport seats: the perfect place to enjoy richly engaging driving experiences. Standard on the BMW X3 M and BMW X4 M are heated sports seats in Vernasca leather, whose upper sections are embossed with the M logo. M Sport seats in extended Merino leather upholstery are available as an option. Fitted as standard in the BMW X3 M Competition and BMW X4 M Competition, their seat cushion and backrest side bolsters have an M-specific design. This optimizes lateral support during dynamic cornering. The semi-integrated head restraints are electrically adjustable for height and make a unique visual statement with their illuminated M logo. Far-reaching line-up of driver assistance systems. The wide range of driver assistance systems available for the first-ever BMW X3 M and BMW X4 M offers important comfort and safety benefits. Standard equipment consists of Cruise Control with braking function along with Collision and Pedestrian Warning with City Braking function, while Active Cruise Control with Stop & Go function and distance information and the Driving Assistant (including Speed Limit Info, Rear Cross Traffic Alert, Rear Collision Prevention, Lane Change Warning and Lane Departure Warning) can be specified as options. Driving Assistant Plus extends the helping hand even further. Additional elements of this package include the Steering and lane control assistant, the Lane Keeping Assistant with active side collision protection, the evasion aid and the Crossroads warning, Wrong-way warning and Front Cross Traffic Alert. For comfortable maneuvering into parking spaces: Parking Assistant Plus. The function of many other assistance systems that make life easier for the driver when maneuvering into parking spaces has been further enhanced. The first-ever BMW X3 M and X4 M are equipped with standard Park Distance Control (PDC), which brings sensors at the front and rear of the vehicle. The Parking Assistant Plus in the BMW X3 M and X4 M enables automatic selection and use of parallel parking spaces. These parking spaces are detected by ultrasonic sensors as the vehicle passes them. The Parking Assistant function is activated at the touch of a button on the center console. The system then takes care of the acceleration, braking, steering and gear changes necessary to maneuver into the space.